BEIJING -- Chinese enterprises are encouraged to cooperate with their Mongolian counterparts on the basis of Mongolian law and international norms, Foreign Ministry spokesman Hong Lei announced Monday. "China and Mongolia are friendly neighbors. We have had effective cooperation in mining, an important area of the China-Mongolia trade partnership," Hong said at a regular news briefing when asked about Chinese companies' planned takeover of Mongolian mineral resources. State Councilor Dai Bingguo paid a visit to Mongolia from August 22 to 25 and exchanged views with Mongolian leaders on bilateral ties. Mongolian President Tsakhia Elbegdorj told Dai that Mongolia hopes to seize opportunities brought about by China's development to promote bilateral cooperation and realize mutual development. "We hope to strengthen cooperation with Mongolia on the basis of mutual respect in order to benefit the two peoples and boost ties with Mongolia's new government," Hong said. The Aluminum Corp of China Limited, the listed arm of the country's largest electrolytic aluminum producer, plans to buy a 56- to 60-percent stake in SouthGobi Resources, although media reports have indicated that the deal could face opposition from the Mongolian government. Lehman, Lee & Xu is a top-tier Chinese law firm specializing in corporate, commercial, intellectual property, and labor and employment matters. For further information on any issue discussed in this edition of China Mining Lawyers Alert or for all other enquiries, please e-mail us at mail@lehmanlaw.com or visit our website at www.lehmanlaw.com and Mongolia www.lehmanlaw.mn. Lehman, Lee & Xu Mongolia is one of the first and only international law firms with a full time presence in Mongolia. Our Ulaanbaatar office is staffed with resident foreign legal consultants having significant experience in Mongolia and qualified Mongolian attorneys. The firm’s foreign legal consultants and local attorneys are fully acquainted and experienced with Mongolia’s laws and legal system, business climate and political affairs. For any Mongolian legal matters please refer to our Mongolian website www.lehmanlaw.mn. 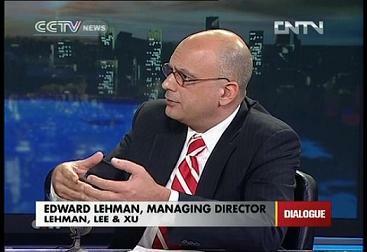 © Lehman, Lee & Xu 2012. You may share this document with your friends or colleagues, either by forwarding the e-mail edition to them (provided that the contents of the e-mail edition, including all notices, are preserved in their entirety), or by directing them to the online edition at here. You may use short excerpts from this document in your own work (provided that each such excerpt shall not exceed three sentences in length; no more than twenty percent of this document, by word length, may be excerpted; no more than twenty percent of your work, by word length, may consist of such excerpts; each such excerpt shall be attributed to Lehman, Lee & Xu, with such attribution to include the Internet address of the online edition of this document; and your work shall not disparage Lehman, &Xu). All other rights reserved. We hope that you enjoy China Mining Lawyers Alert. If you would like us to send you new issues by e-mail each month, please click here to subscribe. There is no charge for this service. If not, please click here to unsubscribe.